← As You Wish… Parenting Advice from The Princess Bride. 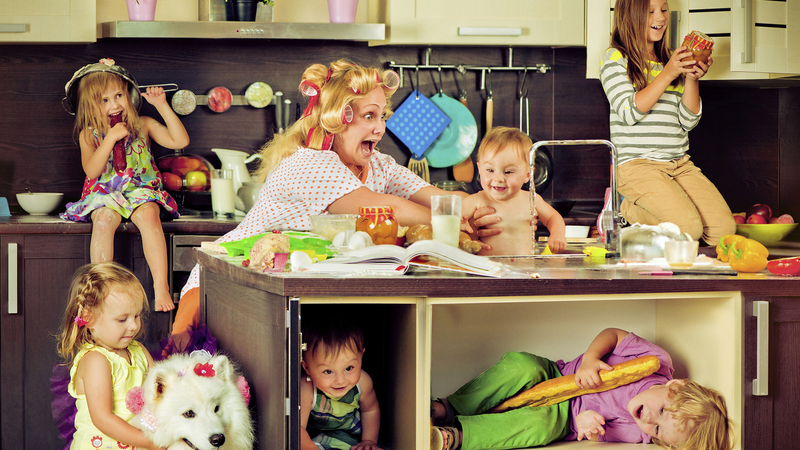 Here’s a look here at the evolution of 10 common parenting practices from those first precious days as a parent when you wanted everything to be perfect, to the days, three or four kids down the road, when “perfection” is everyone making it out of the house with their clothes on. You stare at her for hours while she sleeps, drinking in the peaceful sight of her little chest rising and falling and the sweet, gentle sounds that only a newborn baby can make. The minute she goes down for a nap, you convince your firstborn its time to “snuggle.” You fall asleep instantly in your bed while firstborn watches two hours of Doc McStuffins. You assume the baby is sleeping, but it’s hard to tell because she is in her pumpkin seat in the back of your minivan while you run your other kids all over town. You lovingly pick out each day’s outfit complete with matching socks and hats. Then you take 25 pictures and post on Facebook and Instagram. She mostly wears whatever she slept in the night before unless company is coming over. A diaper is an outfit, right? Baby drops her pacifier and you swoop in like a Peregrine falcon to catch it before it falls to ground. You sterilize it for five minutes in boiling water just in case. Baby drops her pacifier and you wipe it on your pants and hand it back. Five second rule! Baby drops her pacifier and you hand it back without wiping it on your pants because you’re pretty sure whatever is on your pants would only make it worse. You spend hours making homemade, organic baby food from fresh fruits and vegetables. Your definition of fruits and vegetables has been expanded to include fruit snacks and French fries. Baby’s first solid food is a Cheeto. You document every milestone in his baby book –first smile, first roll over, first haircut, first steps, first words. He doesn’t have a baby book, per se. It’s more of a baby-plastic-container filled with notes scribbled on the back of doormail coupons and a few stale Cheerios. There is little to no physical evidence this child actually exists. You leave pages of detailed notes for the babysitter, including feeding, changing and napping schedule. You may have even created a spreadsheet for her to track size, color, and shape of poops. You leave your cell number and $20 for pizza. You leave strict instructions not to call unless she sees blood. The minute baby gets fussy, you take her temperature three different ways and even though it’s in normal range, you take her into the pediatrician because you just feel “something is off.” You hesitate to take baby to the doctor’s office because your firstborn always catches something while there. Probably because he likes to lick the fish tank while you’re waiting. You feel like you’re basically a pediatrician by this point. You treat everything at home with baby Motrin, an ice pack, and/or a magic kiss. Packing for any outing requires an hour’s preparation and three steamer trunks full of supplies. You’ve streamlined your supplies into what can fit into your existing purse. Diaper bags are for rookies. Supplies now consist of a pile of Starbucks napkins and a lollipop. Ah, so true! As always, love your witty perspective on life and parenting, Jill. This should be required reading for all helicopter parents. Loved it! The 2nd / 3rd child was about where my parents were, as most parents I remember were.